Yes, we do! We currently sell our NomNomNow Chicken Jerky and NomNomNow Beef Jerky. These healthy treats are all-natural, prepared in the USA, and made with one ingredient only—sliced, dehydrated chicken breast or top sirloin beef. 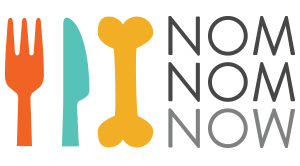 Our treats can be added to any NomNomNow delivery in the Add-ons section of your account. You can also purchase separately as a standalone item on our site here or on Amazon. Our current customers say their dogs and cats are obsessed, and luckily each piece is low-calorie enough that you don't have to worry about your fur baby getting one too many! At the top, you will see a confirmation of which delivery your treats have been added to!